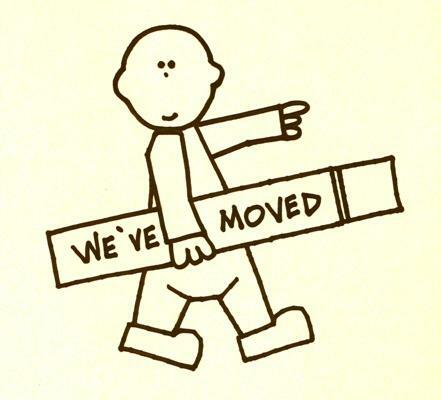 My blog is now built into the new website so this one will no longer be updated. According to a quick look at the stats I’ve had over 20,000 views in the 7 years this blog has been running ~ TWENTY FLIPPIN’ THOUSAND! A HUGE THANK YOU to the amazing Deon Design ~ what a guy! Yes, it’s another wedding tips video-log from me and this time it’s about finding the suppliers you need for your wedding team. This is the 9th video in the series, scroll down and find some more. It’s episode eight in my series of v-logs on wedding planning, and this time I take a look at choosing your team. This is the latest in the “Looking Back” series of videos and this time it’s back to March 2013 for Meghann and Chris’ wedding at Winchester Guildhall. They had their ceremony, wedding breakfast and evening party in the King Charles Hall with drinks in the Wintonian Room and photos and a balloon release in the gardens next door. 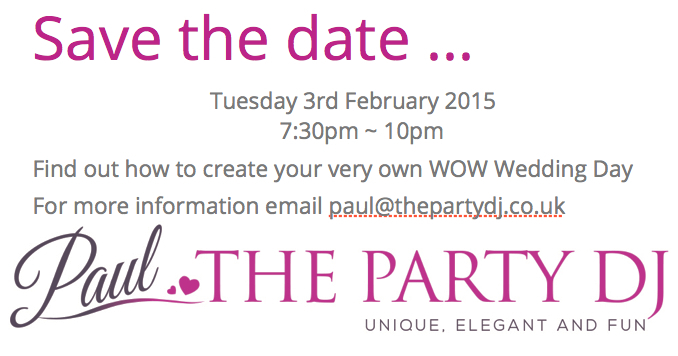 Tuesday 3rd February ~ Creating Your WOW Wedding! I am on a quest to stop boring weddings. The thing is, in my humble opinion, weddings have been dumbed down. I was talking to a bride recently who had been at a wedding the day before – “how was it?” I asked her, her reply – “it was OK”. Weddings shouldn’t be OK, they should be AMAZING! If you’ve been looking at my recent vlogs (see below) you’ll have seen that I have plenty of ideas and thoughts I’ve been sharing. 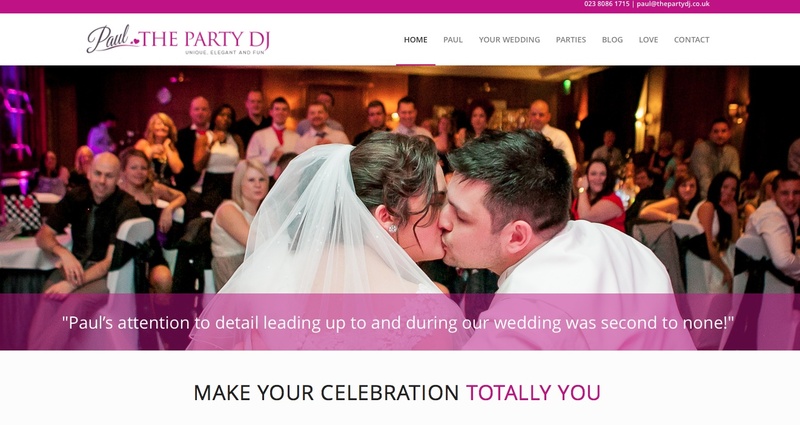 I have a twenty page basic guide to planning a WOW Wedding and if you email me at paul@thepartydj.co.uk I’ll send you a pdf copy. 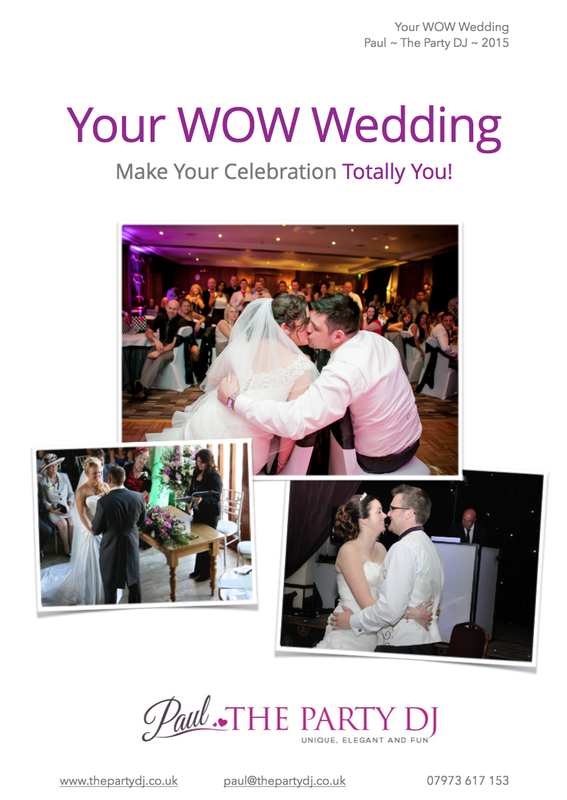 To expand on the ideas in the “Your WOW Wedding” guide I’m hosting an event on Tuesday 3rd February (two weeks today) when I’ll run through some great ways of incorporating the ideas from the guide into your wedding. The evening is being held at Ampfield Golf Club. Please share this with anyone you know who are planning their wedding. It’s not a hard-sale meeting it’s an opportunity for every couple to find out how a wedding works and what they can do to make it a truly personal and memorable day ~ A WOW Wedding! Hey! I have so much to get on here over the next few days ~ the time is just flying by, I can’t believe it’s a week already since the St Mary’s Wedding Fair. Here’s a video that’s not me (cue sighs of relief all round). 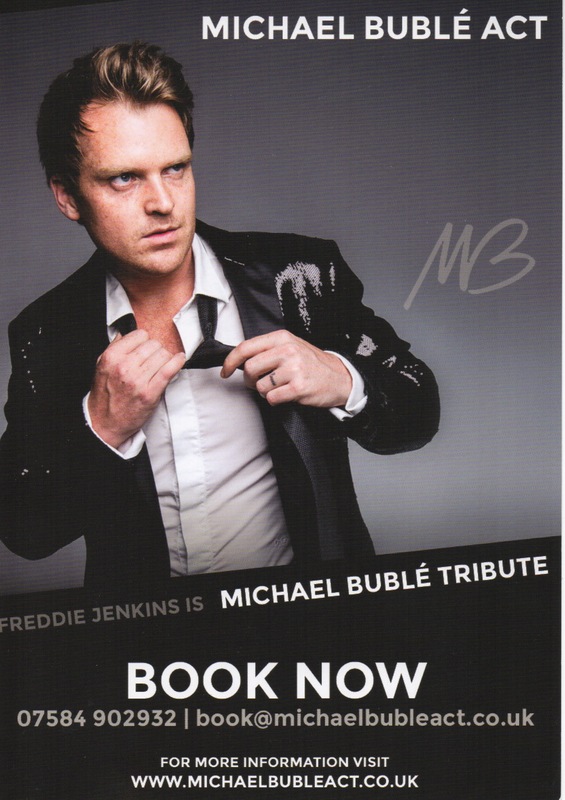 This is singer Freddie Jenkins who performed at St Mary’s, and what a lovely guy he is. 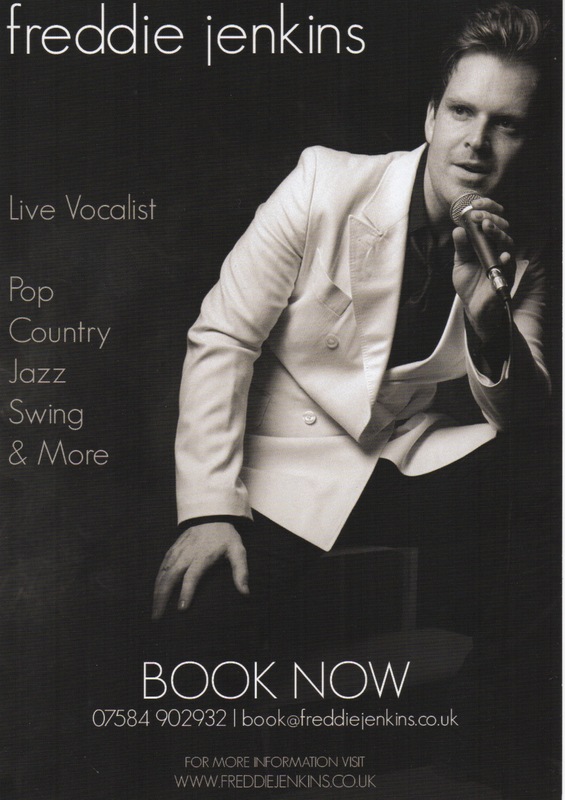 If you’re looking for a wedding singer check him out.